Although I was raised in California, my family is originally from Taiwan, a small island off the coast of China. Over winter break, I went to the capital city of Taipei for my cousin’s wedding. I hadn’t been back in quite a few years, and I was amazed at how much the city has changed from how I remember it. While it’s just as crowded and bustling as it was during childhood visits, Taipei is now full of gleaming high rises, fancy restaurants, and upscale department stores. Taipei City is the capital of Taiwan and its most populous city. It is located at the northern tip of the island. Taipei is the political, economic, and cultural center of the country and has the second highest GDP of all Asian cities. Although there’s plenty of delicious cuisine to be found around the city, Taipei is most famous for its street food. Sidewalk vendors hawk small dishes such as oyster pancakes, pearl milk tea (boba), kebabs, pork dumplings, fried chicken, beef noodle soup, grilled sausages, and fried stinky tofu (don’t knock it till you try it! It’s definitely an acquired taste, and the smell is pretty formidable, but trust me, this stuff is delicious). 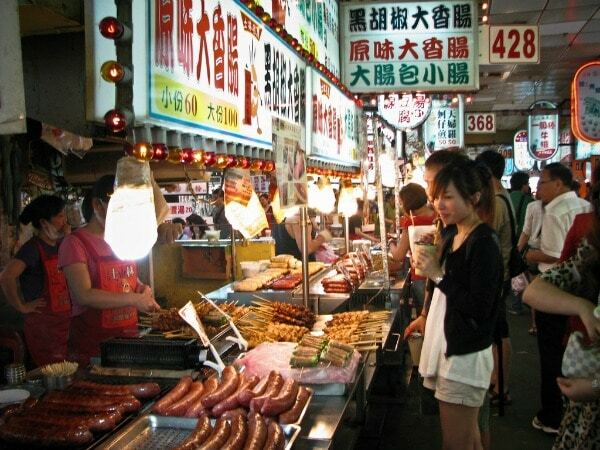 Taipei is home to several major night markets including Shilin, Raohe, and Linjiang. In addition to food, the popular tourist sites offer entertainment in the form of clothing shops, novelty stores, and arcade games. There are several department stores in Taipei, such as Pacific Sogo and the fancy-pants Bellavita shopping complex. Due to limited space, Taipei also has many underground malls. 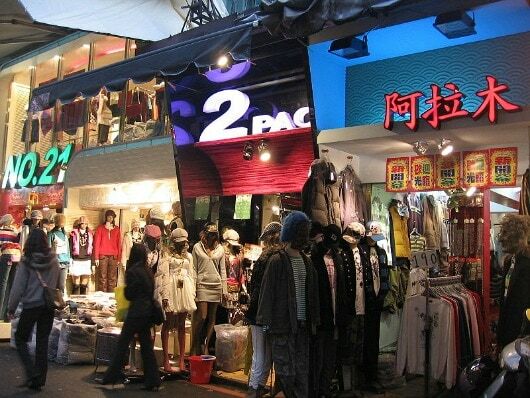 Above ground, Ximending and Wufenpu are popular shopping areas with more budget-friendly offerings than the department stores. Although Taipei is tons of fun, it’s nice to take a break from the hustle and bustle of the city. Luckily, Taipei is well-connected via train, bus, and high speed rail, so it’s easy to take day trips to places like Beitou, home to volcanic hot springs; Taroko Gorge, a beautiful national park; Yilan, the agricultural center of Taiwan; Tamsui, the best place to see sunsets in Taiwan; and Shifen, where you can write your wishes on a “sky lantern” and release it into the night sky. Taipei 101 cuts a striking figure in the city skyline: at 1,667 feet, the building held the record of being the world’s tallest from its completion in 2004 until 2010. It has 101 floors (thus the name) and houses offices, restaurants, and a multi-floor shopping mall. 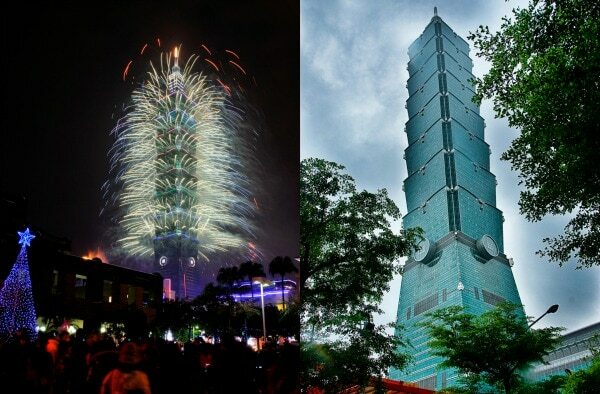 Taipei 101 also puts on a massive fireworks display each New Year’s Eve, with rockets launched from the section balconies. Channel this statuesque edifice with a glitzy nighttime ensemble. 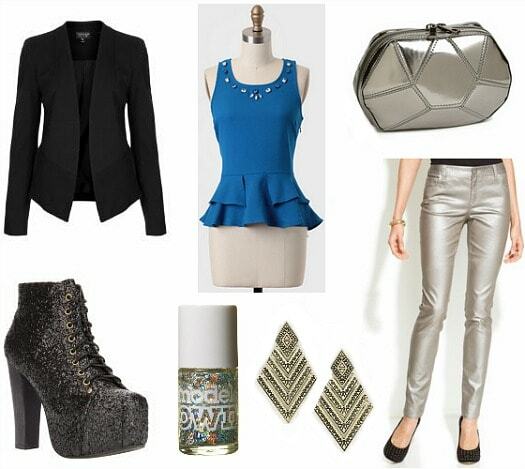 A jeweled peplum top recalls the tiered shape of the building, while metallic jeans evoke its gleaming exterior. Towering platforms are quite apropos for an outfit inspired by something of such stature. A sharp blazer and shiny clutch complete the look; if you’re feeling festive, paint on sparkly fireworks-inspired nail polish to reference Taipei 101’s impressive New Year’s pyrotechnic spectacle. Foodies, listen up. Like I said in the intro, Taiwanese street food is where it’s at. Night markets in Taiwan open around 4 pm, but don’t reach their peak until around 10 or 11, usually closing at around 1 or 2 am. Shilin Night Market is the largest and most famous night market in the city; while locals think it’s become a bit of a tourist trap, it’s definitely worth a visit (or two!). The market officially began running in 1913. Many of the historic food vendors have been relocated to an underground complex, but there’s plenty of fun to be had above ground as well. While this practical outfit is tailored for an eating excursion, it’d also be great for traveling or sightseeing. Since vendors cook their food onsite, the air is somewhat smoky, so avoid sweaters that will pick up cooking odors. 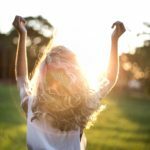 Instead, put on a loose tee, comfy sweatshirt, and your best stretchy jeans/leggings (or as I call them, “eating pants”). There are tons of people in the night market, so protect your toes with combat boots. Likewise, avoid making a pickpocket’s day by stowing your personal belongings in a hands-free but secure messenger bag. 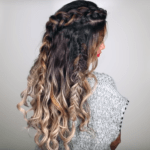 Personally, I like to keep my hair up when I’m pigging out so I don’t have to worry about a stray hair in the mouth; a hair donut or sock bun is the perfect stylish remedy! The National Palace Museum is quite the national treasure: it houses almost 700,000 pieces of ancient Chinese artifacts and artworks, encompassing over 8,000 years of Chinese history. 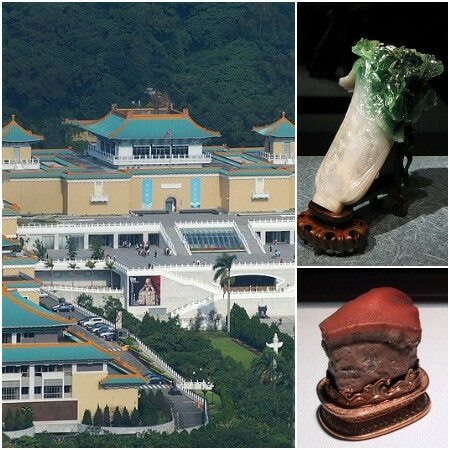 Despite all of the impressive calligraphy, paintings, and bronze sculptures, the two most beloved pieces in the museum are the rather humble “Jadeite Cabbage” and “Meat-shaped stone,” both of which are exactly what they say on the tin: jade and jasper, respectively, cut to look like totally realistic food items. (For comparison: a real cabbage and piece of stewed pork.) What can I say, Taipei is just really into food. Get inspired by the National Palace Museum’s stunning exhibits with a formal ensemble featuring a ruffled green frock (inspired, of course, by everyone’s favorite cruciferous vegetable.) Add a sleek white blazer – which is more unexpected than black – and bronze accessories to reference the many bronze antiquities found in the museum. Jasper earrings in a complementary hue allude to the Meat-shaped Stone and add a fun pop of color. If you’re a fashion junkie who loves a bargain, Wufenpu Fashion Area is the place for you! This wholesale garment district offers trendy clothes and accessories at a fraction of the price you’d find them at in the boutiques around the city. If you like the Asian style aesthetic that K-pop girl bands favor, then you’ll love the offerings at Wufenpu. 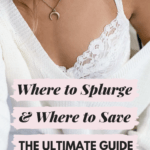 The conversion rate is approximately 30 NTD to 1 US dollar, and it’s easy to snag deals like sweaters for less than $10, jewelry for around $3-$5, and tops for under $7. And always, always, always haggle! Since you can’t try the clothes on at most of the shops in Wufenpu (one of the few downsides), you might as well wear less practical shopping attire. I saw several iterations of this outfit on tons of fashion-savvy girls while I was in Taipei: basically, wear a floaty top and oversized cardigan or sweater with a super-mini, flouncy skirt (faux leather is popular), a fun pair of patterned tights, and blingy jewelry. A bright bag and patent oxfords (or a pair of sky-high tall boots) complete the look. Would you wear these outfits? Have you ever been to Taipei? Would you ever try stinky tofu? (It is so good!) 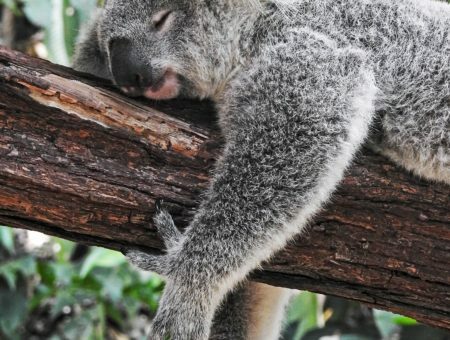 What other destinations would you like to see featured? Want to contribute to a Send-Shannon-Around-the-World fund so I can actually visit those places? Let me know in the comments!